A little about the book (from the back cover) . . .
Deputy Sheriff Michael Keane doesn't particularly enjoy being touted as the hero of Hidden Springs after pulling a suicidal man back from the edge of the Eagle River bridge in front of dozens of witnesses--a few of whom caught the breathtaking moments with their cameras. But the media hype doesn't last long as a new story pushes its way into the public consciousness of Hidden Springs' concerned citizens. Photos of a dead girl arrive in the mail, and Michael becomes convinced she was murdered by the man he saved. With a killer one step ahead, things in Hidden Springs begin to unravel. Now Michael must protect the people he loves--because the killer could be targeting one of them next. And I thought . . .
it was a great read. A little humor (quirky townsfolk), mystery and just a tab bit of romance. The story line was fast paced and interesting full of twists and turns. I enjoyed the characters and getting to know them. Although this is the 2nd book in the series I didn't feel confused. I would love to read book 1. I enjoyed this book. Even though it is a murder who done it I didn't get a feeling of violence or too much graphic explanations. (the murderer mails photo's of his victims) It is violent in that the murder count ads up. I actually lost track 3 or 4? And of course an attempt at the end. With that said this was a clean book. No language or bedroom scenes. Murder Comes In The Mail is categorized as a fiction mystery book and is published by Revell which publishs Christian fiction. The story begins with Michael the main character driving a bus load of senior ladies from his church to a play. The story line weaves a faith aspect into the story without being overly 'preachie'. Making this book enjoyable for any adult audience. Because of the content I would caution young readers. I give this book a 5 stars. I received a complimentary copy of Murder Comes By Mail from Revell Books in exchange for my honest review. This book is available at Amazon, ChristianBook(dot)Com and Barnes and Noble. Click on the bold type to purchase or read additional reviews. As beautiful and free-spirited Isabel Creston navigates her new life as a teacher, she faces a fateful choice between love and duty when a new stranger arrives in town. Don’t miss Sarah Ladd’s new book, Dawn at Emberwilde, a story of intrigue and hidden motives. At her new family’s invitation, Isabel and Lizzie relocate to Emberwilde, a sprawling estate adjacent to a vast, mysterious wood rife with rumors and ominous folklore—along with whispers of something far more sinister. Perhaps even more startling, two handsome men begin pursuing Isabel, forcing her to learn the delicate dance between attraction, the intricate rules of courtship, and the hopes of her heart. For as long as she can remember, beautiful and free-spirited Isabel has strained against the rules and rigidity of the Fellsworth School in the rolling English countryside. No longer a student, Isabel set her sights on a steady role as a teacher at the school, a safe yet stifling establishment that would enable her to care for her younger sister Lizzie, who was left in her care after her father’s death. The unexpected arrival of a stranger with news of unknown relatives turns Isabel’s small, predictable world upside down, sweeping her and her young charge into a labyrinth of intrigue and hidden motives. At her new family’s invitation, Isabel and Lizzie relocate to Emberwilde, a sprawling estate adjacent to a vast, mysterious wood rife with rumors and ominous folklore—along with whispers of something far more sinister. Perhaps even more startling, two handsome men begin pursuing Isabel, forcing her to learn the delicate dance between attraction, the intricate rules of courtship, and the hopes of her heart. At Emberwilde Isabel will discover that the key to unlocking the mystery of her past may also open the door to her future and security. But first she must find it—in the depths of Emberwilde Forest. Sarah E. Ladd received the 2011 Genesis Award in historical romance for “The Heiress of Winterwood.” She is a graduate of Ball State University and has more than ten years of marketing experience. Sarah lives in Indiana with her amazing family and spunky Golden Retriever. Find out more about Sarah athttp://www.sarahladd.com. Win the Battle on the Home Front! 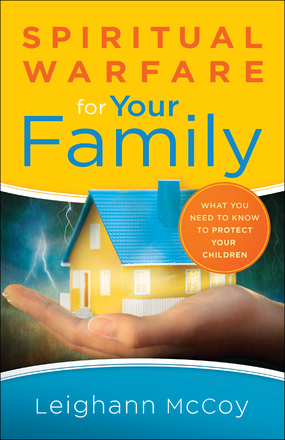 With warmth and wisdom, Leighann McCoy offers this practical guide to protecting your family from spiritual attack. In these pages you will learn what spiritual warfare is as it relates to your children and discover why you may be struggling to overcome the weapons of the Enemy. From there youll develop the offensive tactics to strike first through prayer and the knowledge of Gods Word. Whatever stage your family is infrom babies to the teen years to enjoying your grandchildrenbe empowered to recognize your own vulnerability and lean more heavily on Gods strength and wisdom. He has every tool you need to protect your loved ones. In her warm, conversational way, bestselling Proverbs 31 author Suzanne Eller shows how, when you say yes, you take a step away from the uncertainty, the to-do list, the worries and excuses. And you take a step toward the One who promises to delight and surprise, who will transform who you are, how you live, and how you impact the world. So come. Walk with Jesus. Listen to his words. Step into the harder places of faithbut not alone. Learn who you are, but more sowho he is to you. 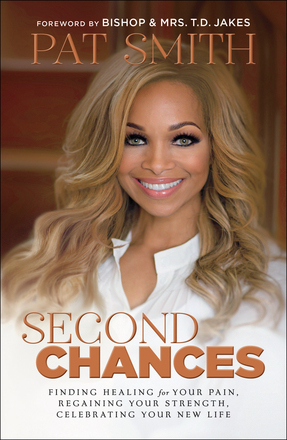 With warmth and insight, Pat Smith shares the truths she and other women have learned on their own journeys from heartache to hope. She encourages and empowers you to recommit to the destiny God has for you in your faith, family, love, work, community, and ministry. She also shows how to let go of whats holding you back, reinvent yourself, and rediscover your purpose and joy. There is a second chance waiting for youits time to claim it! There is a giveaway. Click here to enter. I would have bought this one because of the cover! Speaks 'Dreamy' to me. This is probably the best cover I've seen all year. The inside's not too shabby either. Single mom Julia Dare has a lot on her plate. A brand new Christian, Julia is busy trying to run her own business, spend time with her widowed mother, and raise her young son, Max, despite his father’s less-than-ideal influence on him. When a big account from her event-planning business sends her to the Caliente Springs resort, she’s shocked to come face-to-face with Zeke Monroe, the resort’s general manager and her college sweetheart. With his faith in tatters, Zeke Monroe is determined to keep the historic Caliente Springs resort running despite financial difficulties. But when Julia walks back into his life, he can’t ignore the feelings she stirs up. As they work together on an important client’s dream wedding, the fate of the resort soon depends on their success. When Zeke and Julia are pushed to their limits both personally and professionally, will their history put up walls between them or bring them together? The story was almost as dreamy as the cover. This was just a fun read. Complete with two romances! To me it wasn't the typical romance kind of story where the couple slowly gets together and then drama tears them apart and then they get back together at the end. Whoa. A bit awkward when they meet again and still have feelings for each other some 5 or so years later. Especially since Julia has a son. As Zeke and Julia both struggle with work related situations. Julia has a brand new business as an event planner. Zeke is managing a resort that's seen better days. All the while Zeke is struggling with keeping the resorts doors open. Fighting his feelings for Julia. And struggling with his feelings about God. While all this is going on Julia's widowed mother becomes involved with the owner of the resort where Zeke and Julia are working. Someone Like You is filled with not only sweet romance (no bedroom scenes) but struggles with faith, forgiveness and redemption. And there's some humor too. A terrorizing goat named Lady Bug that wrecks havoc for Chet the grizzled old Cow Hand. The pace was steady and the story kept me interested from page one all the way to the end making this a 5 star book! Here's a little about the author . . .
Victoria Bylin writes contemporary and historical romances known for their realistic, relatable characters. Her work has finaled in contests such as the Carol Awards, the RITAs, and the RT Reviewers’ Choice Award. A native of California, she and her husband now make their home in Lexington, Kentucky. I received a complimentary copy of Someone Like You from Litfuse in exchange for my honest review. To read more reviews or purchase visit Amazon, Barnes and Noble or ChristianBook(dot)Com. This reviews is posted on these consumer sites and on Good Reads. I'm so happy you decided to stop in! 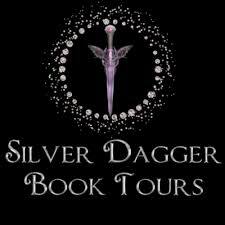 Please hang out and visit some of the reviews I've posted! Please leave a comment and follow! I've reviewed some awesome books. Stay around awhile and check a few out. 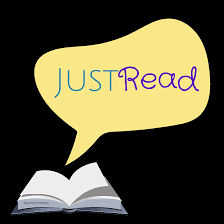 You might want to check out the Labels section of my sidebar for a quick way to look at books your interested in! I was more than surprised. I was offered this book by BookLook. I didn't read anything about it before I downloaded the E book to my phone. I wish I had received the print copy! It took me a few days to read because I was reading it on my phone. New York City life had crammed sidewalks, gasoline-filled puddles, and angry taxi drivers, but Juliette enjoyed the towering sky-scrapers, the half-block walk to school, and the restaurant smells wafting into her bedroom. She had never cared for a horse, let alone a long-horn, when her mother announced their imminent move to a 300 acre ranch in Texas, where they would be caring for three horses, five dogs, twenty-five longhorns, and a cat … all by themselves. Juliette couldn’t help feeling excited, even though she’d have to climb a hill to get a bar of cell-phone service. Soon she was running from bats and snakes, rescuing a calf from a twenty-foot ditch, medicating ponies, and having adventures so crazy it’s hard to believe they’re for real—but it all happened exactly how it’s written. Get ready for side-splitting laughs, heart-wrenching tears, and surprising life lessons learned down on the farm and shared by fourteen-year-old Juliette Turner. And I thought . . . I didn't know what to expect. I wasn't totally sure who the intended audience was. I just read the book and enjoyed it. The characters were funny and heartwarming. The stories Juliette tells about the things that happen to her are were funny. I could tell that the writer knew what she was talking about when she described working with the animals. There was a lot of detail that would be interesting (in my opinion) for readers that know nothing about ranching and horses. The detail was 'spot on' and made the story interesting for me. That attention to detail impressed me. Jules the main character was young. Going into the 6th grade moving from New York City and an all girls private school to a Christian school in Texas. Jules shares her thoughts and feelings about all the changes going on in her life with a humorous enthusiasm. I did think that Jules really didn't talk like a 13 year old. Her character could have easily been 17 or 18. The things she did and her attitude toward her mother and grandparents was very mature. The way she worked around the barn and took care of things was very mature. This was a fun story and I recommend it to all ages. I do think that the intended audience of 8-12 is a bit young. My two 8 year old grand children (a boy and a girl) who are both little horse people themselves would probably not be too interested. They would probably really enjoy the story so I could see the book would be good for a family to read together for younger children. I don't want to give the story away. The ending might be a little intense for younger readers. Especially those with no ranching experience. There are a lot of interesting situations that Jules and her mother get into while managing the ranch. The situations are real and true things that could happen on a ranch. A little of how they handled things like being late to school because of something that happened at the ranch was a little bit crazy. I couldn't help but feel that Jules mom needed to help her daughter learn to be a little more organized. But I didn't see that Emily her mom was real organized. She was a little scatter brained. I was a little uncertain how I wanted to rate this book. Because of it's intended audience and because I wasn't really sure that a young child would be able to understand a lot of the story. I was leaning toward a 3 1/2 to 4 stars for that reason because I felt like a mature writer would have woven the things that happened to Jules into a story that was a bit smoother. I enjoyed this book and give it a rating of 4 1/2 stars. I received a complimentary Ecopy of That's Not Hay In My Hair from BookLook in exchange for my honest review. From the Publisher . . . This adorable edition of God’s Word for girls features the easy-to-understand New Living Translation text with a soft-fur, bright-neon LOVEdesign and silver glittery lining. The BOLD FAITH design on the back cover encourages girls to live out their faith in ways that bring God glory. This hardcover deluxe edition also features purple page edges, neon orange ribbon marker, special presentation page, 8 pages of full-color maps, and a 53-page dictionary/concordance to help locate passages on various topics. The New Living Translation text is excellent for young readers because it is so clear and they can understand what they are reading! When they can read and understand God’s Word, God can work in their hearts! It is cute and girly. It's pretty. Practical? Not so much. The New Living Translation is a great translation for young readers. But, cute, pretty and girly isn't the only reason to purchase a Bible for a child. This Bible is marketed as a Deluxe Edition. In my opinion its a similar edition with a new cover. I don't really see anything extra special about this edition. 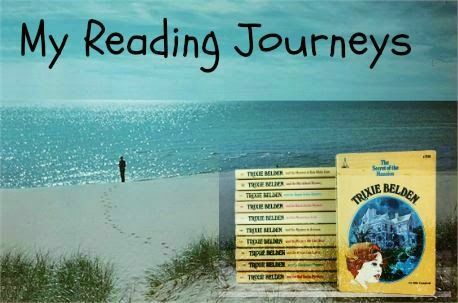 The reading plan is a standard reading plan you would find in other editions. The concordance is also standard. I was disappointed that this edition didn't provide any margin space at all. With the new trend of Bible Journaling I expected something different. I don't think that the pages would stand up to writing. Or even underlining. The type is very small. I was a teenager when The Living Bible Translation first came out. I have a paperback edition that is written in. Verses are underlined. The pages are nice heavy paper that withstood markers and highlighters. And some 40 years latter is still in excellent condition. Such good condition that I am using it instead of purchasing a new Bible for journaling. The Bible from my late teenage years holds many memories for me. To be able to use it in my current season to delve deeper is very special to me. A Bible is meant to be used. A Bible is meant to be respected. But I think just as important in a respectful way it's meant to be a little abused. Because abused in a respectful way means it's being used. So do I want to give my child or grandchild a Bible that they'll probably write in and mark up with fancy gel pens and markers. My concern is this edition would not stand up to that kind of abuse which to me is not very practical. And possibly frustrating to a child. I think I'll keep shopping. How do I rate this edition? Pretty not Practical. Honestly for those reasons this edition of the New Living Translation Bible for Girls receives 3 1/2 stars. For the purpose of this review I am required to give a rating in order to post on the following consumer sites. I received a complimentary copy of this Bible from Tyndale Publishers in exchange for my honest opinion. This review is posted at Amazon, Barnes and Noble and Christian Book (dot)Com. Click on the bold type to read additional reviews or purchase. This review is also posted on Good Reads. Please welcome my first guest reviewer . . . Isn't that a sweet look of concentration. He slowly and methodically read this entire little book. And gave it a thumbs up! The illustrated cover by Diane LeFeyer is welcoming . . . The inside is sweet and precious. A perfect little book to share with children of any age. Seriously even a teenager would enjoying reading to a younger child. And might just bring back some sweet and pleasant memories. Inside you'll find 8 sections filled with prayers. Sweet pictures. And scripture. My Special Days and my favorite My Time With God. Help your children discover the power of prayer from an early age. My Little Prayers introduces classic and modern prayers you can share with your little ones. With it's compact size, this book is the perfect format for the small hands of toddlers and preschoolers. I received a complimentary copy from BookLook in exchange for my honest review. BookLook provided additional information . . . The bestselling My Little® series, with more than 2 million copies sold, is a compact collection of books that will have a big impact on the hearts of your children. My Little Prayers will help you introduce your children to prayer. My Little Prayers teaches children both classic and modern prayers surrounding subjects such as mealtimes, bedtime, playtime, time with God, and others as well as prayer for times when children are fearful, happy, or sad. 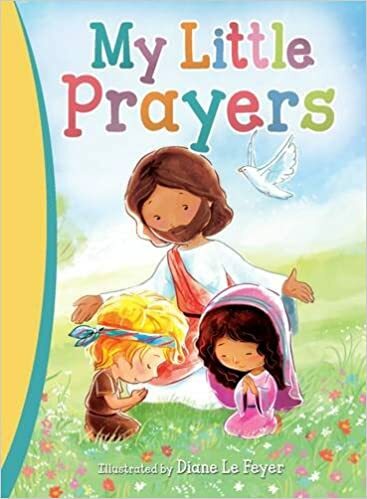 New illustrations in the same perfect format for the small hands of your toddlers and preschoolers make My Little Prayers a wonderful gift for a variety of occasions, and it is just the right size to tuck into a birthday gift bag or Easter basket. Children will learn a big lesson from this little book: that we can talk to God any time we want and that He always listens. My additional thoughts . . . Although I enjoyed this sweet little book there are a few things that I would consider before purchasing. I am a lover of books. I have lots of books. I don't turn down pages in my books. I try hard to keep them in excellent condition so they can be enjoyed. With that said the construction of this book is not one that I would buy for a toddler or preschool child as the publisher suggests. I would definately buy and read to a very young child. 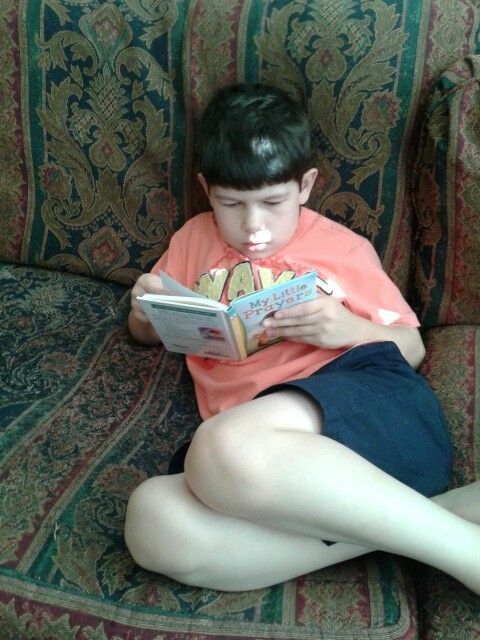 My 8 year old grandson is old enough to understand the importance of taking care of a book. Although he gave it a thumbs up this book is not written or intended for 8 year olds. I wish that the publisher had the fore thought to produce a board book type book in addition to the regular copy. Although the cover is easily cleaned and soft for little hands. The pages tear very easily. The book is small and compact and a very good value. Which gets my 5 stars for value for sure. I would more likely buy as a gift for a new parent if a board book was available. I received a complimentary copy of this book from BookLook in exchange for my honest review. This book is available at Amazon, Barnes and Noble and Christian Book(d0t)click on the bold type for a direct link to purchase or read additional reviews. This review is also posted at the above retailers. Horse In The Wilderness to be a heart warming and touching story of romance and mystery. Here's what it's about . . .
A missing horse. A missing boy. A vandal with an unexplained grievance against a local farmer. A young woman who drives as though pursued by demons. An impulsive offer to help locate the missing horse draws Brent Travis unwillingly into the affairs of the Parker family. Are they the gracious, God-fearing Christians they appear to be, or are they the hypocrites of Brent’s past experience? Autumn Parker’s friendly jibe—quitter—cuts closer than she knows to the heart of the man who has lost his faith in God, in honor, and in loyalty. Caught in a battle between the forces of depression telling him he has nothing to live for and the opportunity to build a new life for himself in rural Orchard Springs, Arkansas. Brent is forced to re-examine everything he believes. And a little more of what I thought . . .
he's never been on a horse. And, never had a dog! That all changes when Autumn becomes a part of his life. The two characters are charming. Brent is a bit moody and angry. Autumn is funny and quirky. And a challenger. She challenges Brent. She challenges his bad moods and encourages him. This is a sweet and wholesome romantic story. There are twists and turns in the budding relationship as Brent and Autumn deal with past tragedies in their lives. I sensed in the first few pages the author was writing about what she knew. I didn't get a sense of an author doing research. I am very critical about 'Cowboy' stories. As the book progressed when Brent is introduced in chapter 2 I began to feel the same way about the music. This story is about music. The story revolves around Brent's new teaching position at the local elementary. I was launched into the world of music in a way that I've never been before. There's much more there between the pages. . .
the search for Autumn's horse, the vandal that is terrorizing a local farmer, and then there's the strange accidents that begin to happen to Autumn. There's much to this story to keep you reading and turning the pages all the way to the end. If your like me you will actually 'gasp' a few pages before the end. But I won't spoil it for you. I suggest you read it yourself! 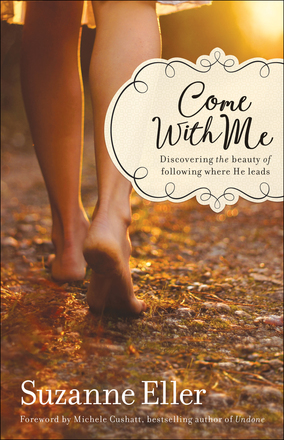 This is a really good book and fits perfectly in the Christian genre. I would recommend for any reader from late teen through mature adult. I would caution a parent to read before offering to a teen. I would have no problem with allowing my teens. Use your own judgment. As the publishers spoiler indicates there is the subject of depression and suicide. But, it doesn't come into the story the you expect. If your a fan of mystery and romance or horse and Cowboys you won't be disappointed. Although this book took me a little longer to read than usual I have to say it was because I was reading on my phone. Not my favorite method. With that said it was pure Cowboy from page one and had me turning the pages! My rating for this book is 5 stars. I am purchasing a copy for my library. There isn't alot of information to share about this book other than from what's on the back cover. I was not able to find an excerpt to share. I visited 3 different retailers. My first thought writing this review This book needs more and better press. I look forward to additional books by Debbie Eckels. I would love to read more about the sub-characters we were introduced to in Horse In The Wilderness. I received a complementary e-copy of this book from BookLook in exchange for my honest review. This review is posted at the following retailers. Please visit to purchase. Bold type is a direct link. Amazon, Barnes and Noble and ChristianBook(dot)com.